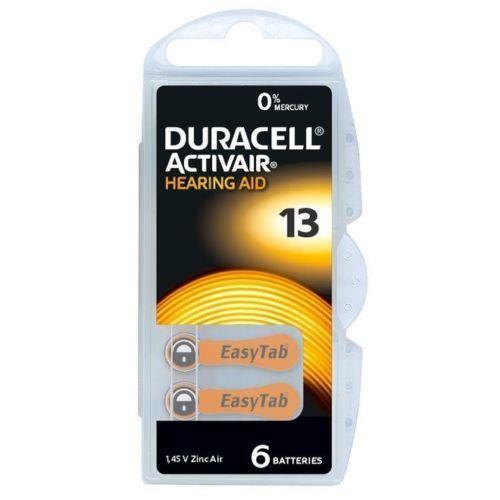 Duracell Zinc Air cells come with EASYTAB, its is a tab that is longer than the tab on ordinary hearing aid batteries. EASYTAB is making it easier to remove from the pack, handle and insert into the hearing aid. The unique carrying case for all Duracell Activair is plastic molded, and it allows the user to carry spare batteries in their pocket or purse without worries about damaging the battery. Made specially for digital and analog hearing aids.